Sara Thomas Burgess, 85, of 661 Garrett Road, went home to be with her Lord and Savior early Sunday morning, August 5, 2018. A funeral service will be held at 11:00 am on Wednesday, August 8, 2018 in Fair Funeral Chapel with burial to follow in Overlook cemetery. The family will receive friends Tuesday, evening from 6 – 8 pm at Fair Funeral Home and other times at the home of her son, Charles, 711 Garrett Road. Mrs. Burgess was born on July 3, 1933 to the late L.C. and Isabelle Thomas. She was a faithful member of Floyd Baptist Church. Mrs. Burgess retired from Burlington Industries. She loved living life to the fullest but most of all she loved her family. Sara will be missed by all that knew her. 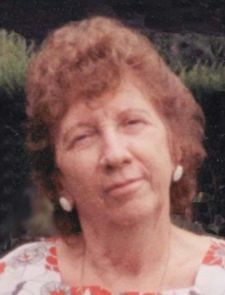 Mrs. Burgess is survived by her son, Charles J. Burgess and wife, Myra of Eden; her daughter, Gail Rowland of Reidsville; two grandsons, Brad Burgess and wife, Tanya and Brian Bailey and wife, Crystal; four great-grandchildren, Brook Burgess, Scottie Burgess, Chasity Bailey and Brianna Bailey; three brothers, Junior Thomas, Luther Thomas, and Donald Thomas; two sisters, Doris Clifton and Brenda Collins and husband, Pastor Jerry Collins. Along with her parents she is preceded in death by her beloved husband, Paul Burgess. The family wishes to give a big thank you to the staff of Hospice of Rockingham County and to her primary caregiver, Tanya Burgess for all the care given to Mrs. Burgess. Gail Rowland and family,Please accept my deepest condolences.I am sorry to hear of your mother passing.May God give you the strength and peace at this difficult time.Praying for you and your family.